For up to 2x smoother* hair when straightening, curling or creating relaxed waves, choose the Gold Dust Straightener. 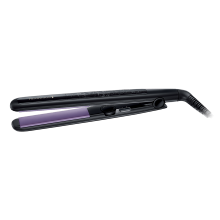 With Advanced Ultra Smooth Ceramic coating, the straightener is designed for an easy glide and salon sleek styles. While fashions change, shiny, healthy looking hair never goes out of style. With the Remington Gold Dust Straightener, you can achieve the look you desire with a single tool that can straighten, wave or curl with care thanks to specially coated 110mm plates that smooth cuticles as they style – sealing in your hair’s natural shine. 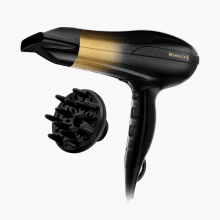 Unlike ordinary straightening irons, the plates of the Remington Gold Dust Straightener feature an Advanced Ultra Smooth Ceramic coating to help you to achieve up to 2x smoother* hair – and an enviably glossy finish. 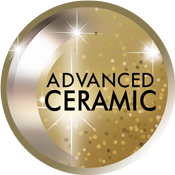 The Gold Dust, has a unique curved design in a distinctive gold and black colourway. Extra-long and slim110mm plates mean the Gold Dust can create a range of styles on short or long hair- perfect for if you want to change up your look. We understand that sometimes you haven’t got the time to spend ages on your styling. 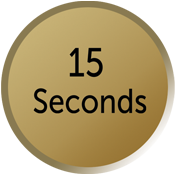 That’s why you won’t have to waste a moment waiting around for the Gold Dust to work its magic – it heats up to optimum temperature in just 15 seconds. 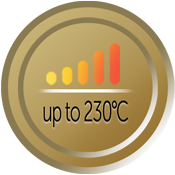 It has a digital display function so that you can see its heat range at a glance - 150°C - 230°C. 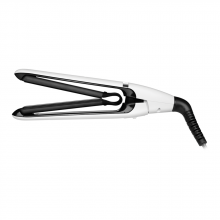 Temperature lock function helps you to stay in control as you style and a temperature boost function allows you to apply extra heat where you need it most. Whether your hair is fine and soft or needs a little extra lift, the Gold Dust Straightener is a high quality appliance that puts your hair care needs first. 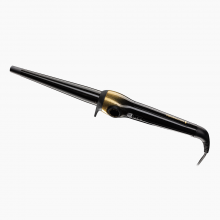 The Gold Dust Straightener has curved plates to achieve bouncing curls, gentle waves or glossy straight hair – it’s the only tool you need for a range of styles. Achieve sleek hair that’s now up to 2x smoother* thanks to the Advanced Ceramic Ultra coating that kinder to cuticles.